Enterprise software products have a history of being built around the business, with less of a focus on the individual user’s job functions and requirements. But research shows that for every dollar spent in user experience (UX) design, 100 dollars can be returned through increased productivity, reduced time spent navigating legacy systems and increased customer satisfaction. Advanced enterprise software products are already more configurable by the individual end-user to conform to how they work, streamlining day-to-day work. Emerging technologies such as augmented reality (AR), virtual reality (VR), voice activation and new ways to personalize enormous flows of data, will soon redefine the enterprise software user experience to the benefit of the bottom line, explains Katherine James, Vice President of Sales for IFS in North America. Consumerization has raised the bar for what we expect of our B2B applications. A recent UserTesting survey found that user experience, once considered an afterthought of technology implementations, was now a top priority for everyone involved – from end-users to C-level executives. An IFS usability study of over 200 enterprise software users also found a strong correlation between successful digital transformation and software usability. Respondents who said their enterprise software prepared them for digital transformation, for instance, were 400 percent more likely to say their enterprise software was very easy to use. 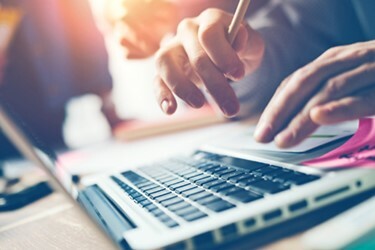 However, 88 percent of respondents said, when they were faced with poor software usability, they would abandon enterprise software in place of Excel spreadsheets. Even more frightening, almost 46 percent of the middle-age demographic said they would consider changing jobs due to poor enterprise software usability. I see that businesses are increasingly realizing that UX correlates closely to user engagement. The implications of a successful user experience make it way more than just a satisfaction ranking. Increased workforce engagement is tied closely to improved performance, motivation and persistence, before we even get to effectiveness, time and cost savings, or the improved employer branding advanced UX applications give. All of this has to improve the bottom line. Here are six key trends that I see reshaping enterprise software UX. 1. Mobile is the new norm: The use of mobile devices in our personal lives has raised the bar for how we expect to use enterprise software on these devices. Research into enterprise mobility shows that executives at enterprises who say their software prepares them well for digital transformation are more than twice as likely to access software from a mobile device. A growing number of organizations are also implementing responsive designs that adapt across platforms and screen sizes to allow various mobile devices to interact with business software. “Mobile first” has become a common UX strategy for consumer software. Although the majority of work in enterprises is still done on laptops and desktops, touch screen devices like tablets are becoming a choice for everyone from executives to industrial maintenance staff. So, where mobile first might apply for a number of specific business processes within enterprise software, mobile as a choice applies to all processes. 2. Consumerized usage behaviors: As more and more people are getting used to swiping on their smartphones and using chat apps such as WhatsApp or Facebook Messenger, this quick interaction has also become what they expect from enterprise software. Delivering an intuitive, clean and visually appealing UX that allows quick actions without going through too many steps before performing a task is a must. This has been the motivator behind a lot of companies enabling enterprise systems to be accessed through these kind of services, such as the popular WeChat social networking service in China. 3. Personalization: Rapidly increasing data volumes within organizations have made it even more urgent to personalize information and make it available at a moment’s notice. The CEO needs top-level financial data, whereas the service engineer may need the latest asset status from a power generation turbine or manufacturing line. Role-based user interfaces have been developed to meet these individual needs. When paired with new technologies such as AI and machine learning, the role-based interface can also become intelligent, predicting how you want your personalized interface displayed and automatically adapting what information is shown - for example, depending on the device you use and how much is practical to display. The future user interfaces will be smart and evolve to learn from your past actions and preferences. 4. Voice and chat UX: UX does not just have to be visual, forms and lists. Consumer-focused interfaces, such as Siri, Cortana and Alexa, have accelerated the adoption of voice and chat as an interface in the enterprise arena. The benefits are clear - you can search for data and perform tasks within your system using voice or chat through Skype, Messenger, or any other channel instead of having to use a dedicated enterprise application and click through endless menus and structures. This provides vital benefits for professionals such as service engineers, who can use their hands when repairing an asset while searching for instructions using their voice. 5. Virtual, augmented reality becomes a UX: Moving us even further beyond screen display or voice notions of UX is the movement towards AR and VR. Since its start ten years ago, augmented reality has matured fast. Companies such as XMReality offer AR remote guidance, so remote subject matter experts can support engineers in the field in solving complex problems as if they were physically present. Such technologies have gone from being exploratory R&D projects to mature solutions extraordinarily quickly, and it will not take long before we see broader adoption. 6. Mixed reality: Another opportunity to leverage these technologies is through mixed reality, which combines augmented reality and virtual reality using devices such as the Microsoft HoloLens. Imagine service engineers who can visualize data from the business software directly on an asset that is to be serviced via their safety glasses. This will make it possible to work on repairing the asset with both hands, while having the service instructions superimposed on the field of vision. The intuitive, easy-to-use UX of mixed reality, combined with enterprise software data, could reshape how we think about enterprise UX in the future. How do you measure user engagement? Measuring the success of your software UX is important as it has a direct impact on employee productivity, and satisfaction and retention. You can do this in a number of ways, from having the users rank features in a usability index, track when and how features are used, or arrange feedback sessions with user groups. It is important not only to assess all of these parameters before, during and at the end of a specific implementation, but they should also be continual gauges of operational success. The technologies outlined here are at varying states of maturity, but no matter what technology is used, ERP user engagement is now an important business KPI.